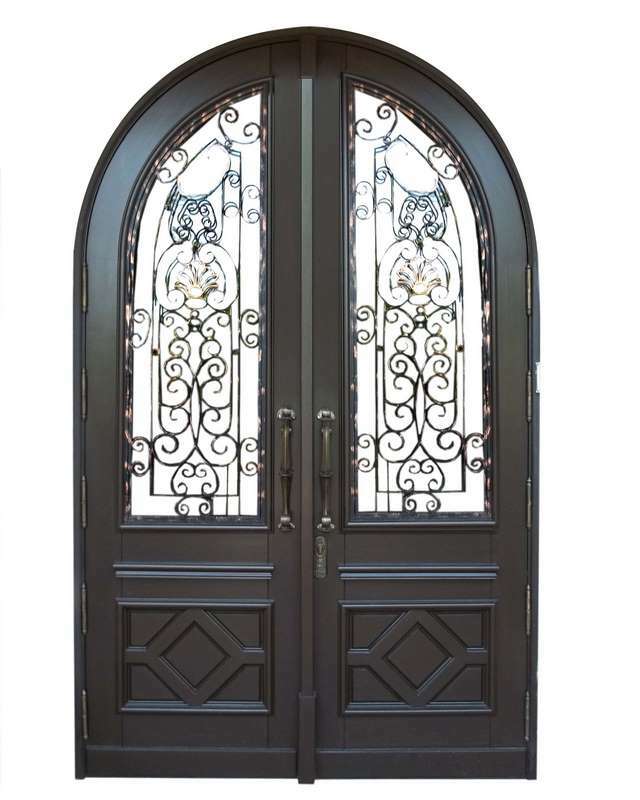 The hand carved raised panel and the custom designed Grills in The full arched doors manufactured for the North Miami residence are operated with custom manufactured handles and surface bolts. The glass is dressed with custom manufactured grills. BRICKEL hinges and a super imposed molding framing the grilled glass and the sculptural panels complete the design of the superbly designed entrance doors.